From the main entrance of The Intermark, take the escalator down to Ground floor, walk straight towards the end. 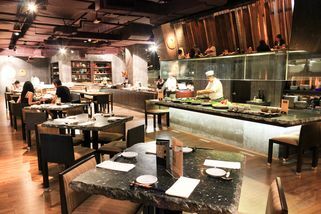 Hanare is well known among local fans of Japanese cuisine to be one of the more premium Japanese fine dining places in Kuala Lumpur. Situated on the Ground Floor of The Intermark, Hanare exhibits a sense of elegance and sophistication with their utilitarian interior design with wood elements. 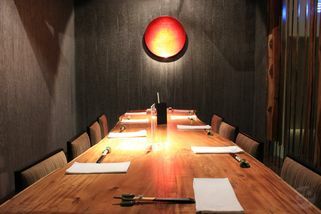 The menu is no less sophisticated; intricate a la carte dishes, Kaiseki course and the popular Omakase course. 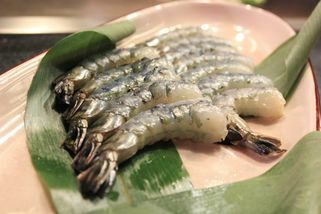 The pride of Hanare is their quality ingredients. 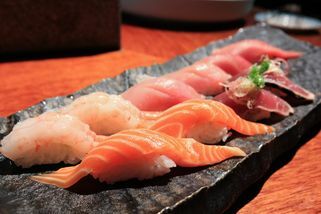 Sashimi fish and various seasonal ingredients are shipped three times a week from Japan, with most of the seafood sourced from the famed Tsukiji market. 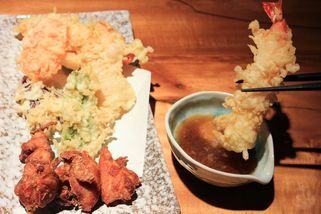 On Sundays Hanare runs their buffet brunch, which offers free flow fresh oysters, sashimi from Tsukiji, Wagyu teppanyaki, and several more dishes for a set price. If you opt for the more expensive fee, free flow sake and draft beer is included with the buffet. "Hanare serves some of the best sash..."
Hanare serves some of the best sashimi I've had in KL. The salmon is nothing like what you're used to having in other restaurants. Fresh wasabi is also top notch. Has to be tasted to be believed! "Akira-san my favourite sushi chef"
I went there on a date and was surprised to find Akira-san behind the sashimi counter. He was my goto sashimi chef at Munakata from years ago and when he resigned I was reasonably upset as nobody could tell me where he went. Needless to say, his service and attention was personal, omakase style. 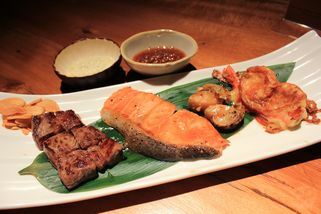 As expected of a fine dining Japanese restaurant, the food was authentic and presentation/plating is pleasing to the eye. From an interior architect's point of view, Hanare has a beautiful ambience about it with touches of artistry in the right places. I was happy that they matched up with high quality dishes and a good selection of sake! Definitely want to go back. We do not have enough fine dining restaurants in KL and this one made it into my list. Valet service is available right in front of the building, driver drop-off is convenient and the basement parking was bright and easy too. Besides a few steps which can be easily managed with help, the place is disable-friendly. 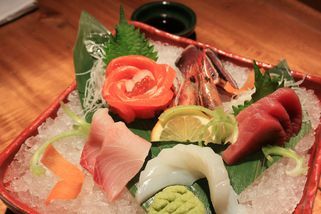 The sashimi is excellent, but the wasabi is the real highlight. Both are super fresh, with the fish melting in your mouth, and real freshly grated wasabi with a good sting to accompany it. The wasabi was so good I ate it with my other dishes! The menu looks pricey, but honestly speaking the meal was very reasonable considering the quality of the food. Would definitely come back. Only problem is that the teppanyaki smells a bit. They should have a stronger fan to vent the smoke.